Hello! I have a tutorial featured today on Sew Mama Sew all about Ghost Quilting. 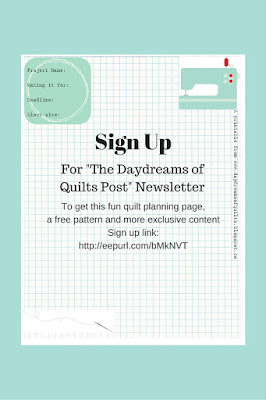 If you have arrived here by clicking a link over there Welcome to Daydreams of Quilts! I am so happy to have you visiting me here today. So what is ghost quilting? Ghost Quilting is quilting ghost shapes in the negative space on your quilt top to add interest and echo the elements already present in your quilt. I have a tutorial for my own blog to coincide with the post at Sew Mama Sew and I had to be a bit cheesy and make a tutorial for quilting ghosts with Ghost Quilting. I'm sorry, I couldn't pass it up. Halloween is coming soon! Spooky ghosts on a foggy night with one ghost shape emerging from the fog swirls ahead of the others. Boo! Designed and quilted by Anita LaHay, Daydreams of Quilts. I am madly in love with the new Cotton + Steel basic called "Sprinkles" so that is what I have used for this mini quilt. The grey Sprinkles fabric is used for the background and the black Sprinkles fabric is for the appliqued ghost. The binding is a Valorie Wells print. Place your fusible web over the ghost shape and trace with a pencil. If you are using Steam A Seam you can just peel the paper that is easiest to take off and stick it to the wrong side of your black fabric to cut out your shape. If using Heat n Bond you will need to fuse it to the wrong side of your black fabric. Cut out your ghost using paper scissors, place it where you want it to be on your background fabric and fuse in place according to the directions for your fusible web. If you placed your ghost template face down on the window flip it around so it is face up. Tape your background fabric to the window over the ghost and trace using a water soluble pen. Change the angle of your ghosts by re-positioning the template underneath. Plan where you trace to achieve a pleasing layout with your appliqued ghost. A popular design principle is that things look best in odd numbers so I chose to do three ghosts (two quilted and one appliqued). If you are making a longer wall hanging you could make five, or seven. Layer your quilt top with batting and backing, baste with pins or spray baste and quilt. I quilted my ghosts with white thread and my fog swirls with grey thread. I stitched around my fused applique ghost at this time to secure it to the quilt top and quilt it all in one step. Trim and square up your quilt top and rinse or spray with water to remove the water soluble pen marks. Attach your binding and bind using your preferred method. In my case I machine bound it. Put a hanging sleeve on the back to put a dowel through or just pin to your wall. If you like you could add a big yellow button to represent the moon and some small mini buttons for eyes on the black ghost. I like the modern look of mine the way it is so I chose to leave it as is. 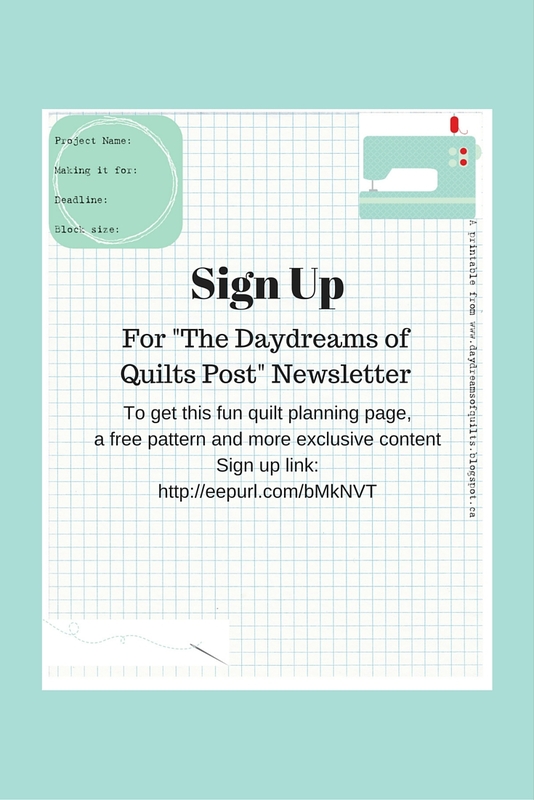 Sign up for my newsletter to receive this fun free printable quilt planning page, a free pattern plus exclusive content. Please visit Sew Mama Sew to see my post on Ghost Quilting (without literal ghosts) and download the templates to make a Falling Leaves Wall Hanging and Falling Feather mini quilts. Thank you for visiting my blog today. Falling Raven's Feather designed and quilted by Anita LaHay, Daydreams of Quilts. Falling Feather designed and quilted by Anita LaHay, Daydreams of Quilts. Falling Leaves wall hanging designed and quilted by Anita LaHay, Daydreams of Quilts.